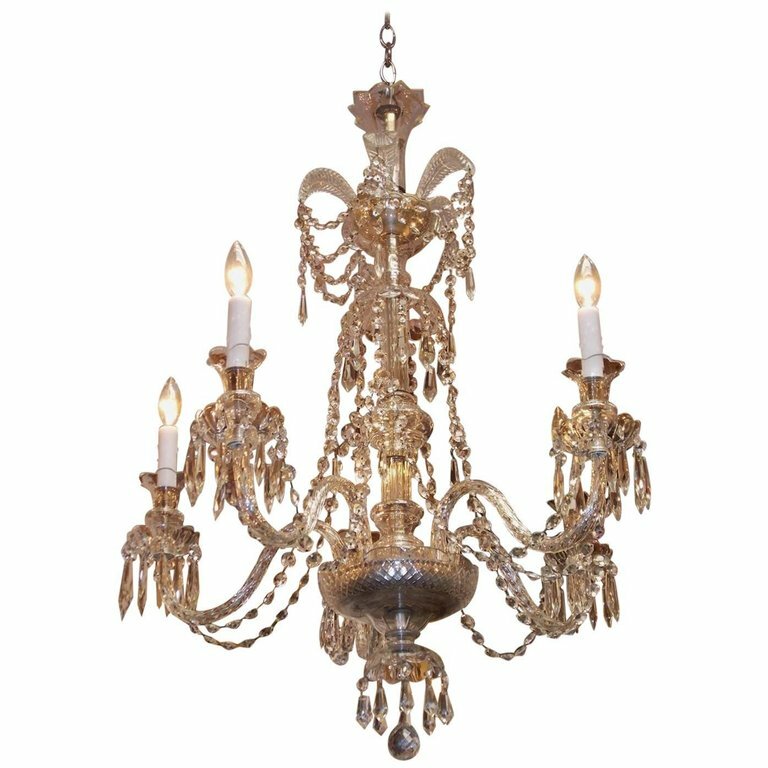 Anglo-Irish cut crystal five-arm chandelier with feather adornments, centered bulbous column, cascading prisms, and terminating on a cut crystal bowl with a faceted ball. Mid-19th century. Chandelier was originally candle powered and has been electrified.